2 – We stopped at IKEA on our way home from visiting with our best friends in Charlotte last weekend to pick up bedding and do a little kitchen research. I think we have the kitchen pretty much figured out so now we just have to wait until we can make it work with our budget which will hopefully be next summer! They changed up some of their kitchen displays so it was fun to look at the new stuff. 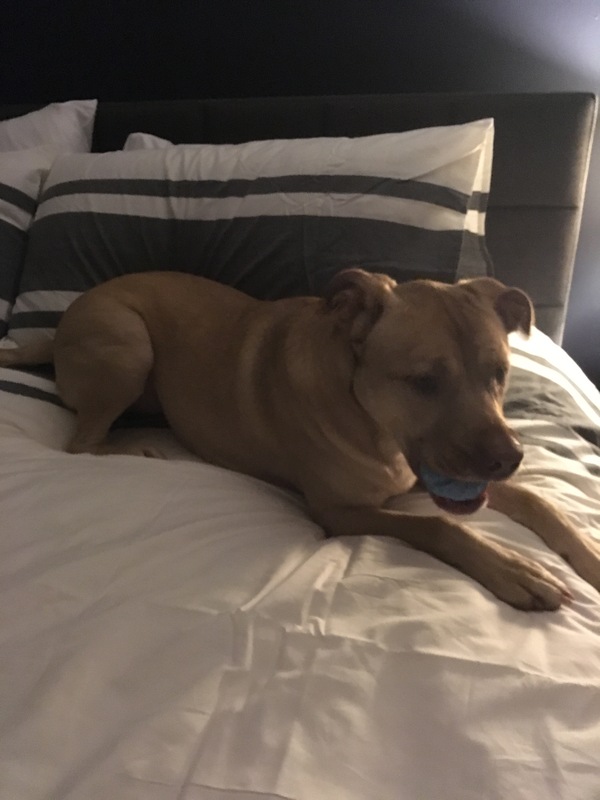 After we got home from Charlotte we ran some errands, picked the pups up from camp, and then got to watch the Falcons secure their place in the SUPER BOWL. I’m a huge Falcons fan and Kyle is from Massachusetts so of course he’s a Patriots fan which means February 5th will be a very tense day in our house. 3 – Yesterday I took most of the day off work and got a massage and it was seriously one of the best massages I’ve ever had. 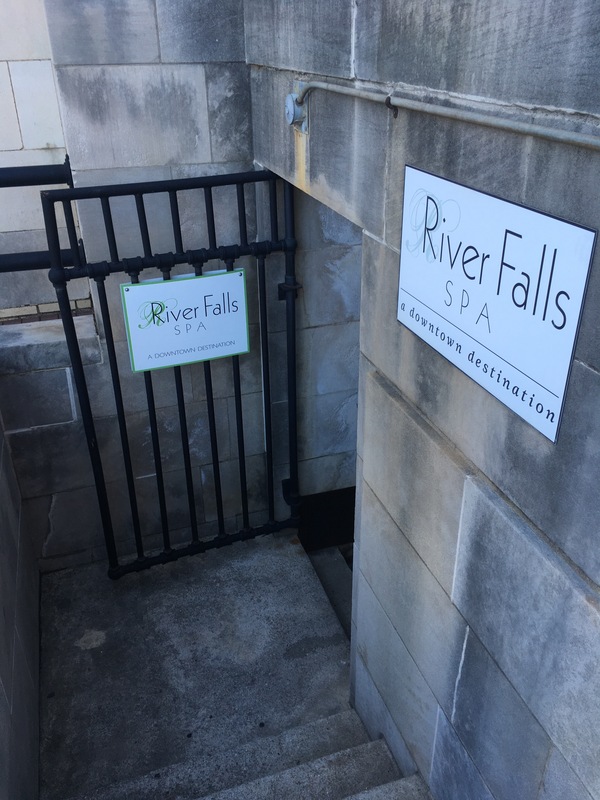 If you’re local and you like massages, check out River Falls Spa under M. Judson. Bonus: after you’re done it’s just a couple of flights of stairs up to the Chocolate Moose for cake pops. 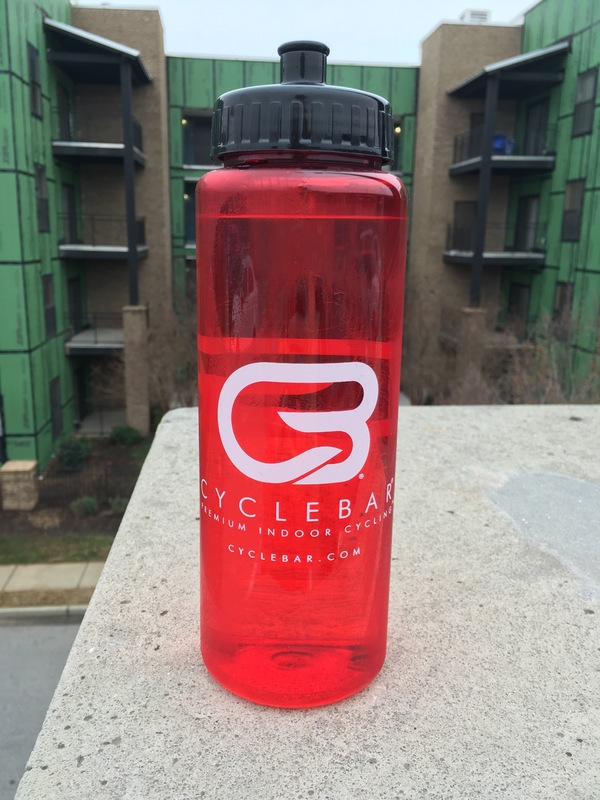 4 – A new indoor cycling studio opened in Greenville recently and I am really digging it. They’ve been doing free rides for the last week or so and I’ve been to two classes so far with another one lined up for tomorrow. It’s pretty expensive but I think I might take advantage of one of their intro packages. If you’re interested, it’s called CycleBar. I’m not big into cycling but these classes are actually pretty fun and it’s a good work out. 5 – We’re starting to get grass in our backyard! After we had the fallen trees removed, Kyle dropped grass seed within the fenced in area and we’ve got a decent amount now. It’s definitely going to take a few seasons but it’s doing much better than the front yard. Looking at this picture is making me itch. I cannot wait to get rid of the rest of the lattice and finish off the handrails on the deck! I guess we also need to take a rake or a leaf blower to the rest of the yard. Bonus: I’m trying out a new logo (if you’re in an RSS feed or something similar, you won’t be able to see it) and would love your feedback! How exciting… a grown up bed AND grass in the back yard! Can’t wait to see the pictures of the completed bedroom! I can wait for it to be completed! Still a long way to go 😩 It will be worth it though!